Diabetics are at high risk of developing high blood sugar after joint replacement surgery. According to a new study by researchers at Hospital for Special Surgery (HSS) in New York City and The Ochsner Health System in New Orleans,Diabetics who undergo joint replacement surgery are at sharply higher risk of experiencing elevated blood sugar post operatively This may increase their chances of developing infections and other complications after the operation. Previous studies have shown that high blood sugar, or hyperglycemia, during the perioperative period of orthopedic joint replacement surgery is a risk factor for infection. The new study, by Bradford Waddell, MD, a hip and knee surgeon at HSS, took a narrower look at the question. It included patients with a diagnosis of diabetes whose blood sugar was being controlled using the hormone insulin and compared them to diabetics who did not require insulin. Patients requiring insulin can be considered to have more severe diabetes and have a greater chance of experiencing elevated blood glucose in the perioperative period, Dr. Waddell said. For the new study, Dr. Waddell and his colleagues reviewed the medical charts of 773 men and women who had undergone total hip or knee replacement between 2011 and 2016. Of those, 437 had been diagnosed with insulin-dependent diabetes, while 336 had not been diagnosed with the condition. Patients with insulin-dependent diabetes were more than five times as likely as those without the condition to develop hyperglycemia, or high blood sugar, after surgery (odds ratio, 5.2; P<0.0001), the researchers found. 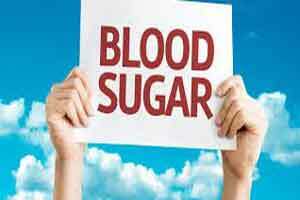 Patients with higher blood glucose over the previous three months–as measured by hemoglobin A1c–were more likely to experience post-operative hyperglycemia regardless of which group they were in. An A1c above 6.59 for people with insulin-dependent diabetes and 6.6 for those without the condition was associated with an elevated risk for post-operative hyperglycemia (P<0.0001). Despite the increased risk for elevations in blood sugar after surgery, however, the incidence of post-operative joint infections did not differ between the two groups of patients. However, Dr. Waddell noted that a limitation of the study was that it was underpowered to detect the risk of infection.